MLF Financial Group, an industry leader in the life settlements market place, announces the acquisition of The Financial Xchange which brings broader access, transparency, and transactional efficiency to the structured cash flow asset class. 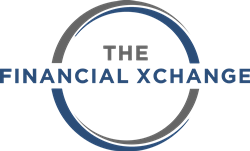 The Xchange will go live later this month and will initially focus on structured settlement and lottery payment streams. This cash flow segment is an over $1 billion niche annual market within the overall structured cash flow space. Specialty Finance currently represents an over $100 billion market whose broad range of participants include: banks, insurance companies, RIA's, accredited investors, family offices, endowments, hedge, and pension funds. The Financial Xchange auction-based platform will enhance the asset acquisition process filling gaps in critical areas such as asset access, fraud prevention, transparency, and verifiable best execution. The Financial Xchange joins the other MLF Financial Group of Companies (Maple Life Financial, MLF LexServ, and Maple Life Analytics) and will be located in the Bethesda corporate office.